Sony's Marvel entry from their 'Spider-Man' universe, Venom, starring Tom Hardy and Michelle Williams released its first teaser trailer and it's...mysterious(?). Sony's teaser is certainly dark and foreboding with not much given away and only a glimpse of a freaked out Tom Hardy. 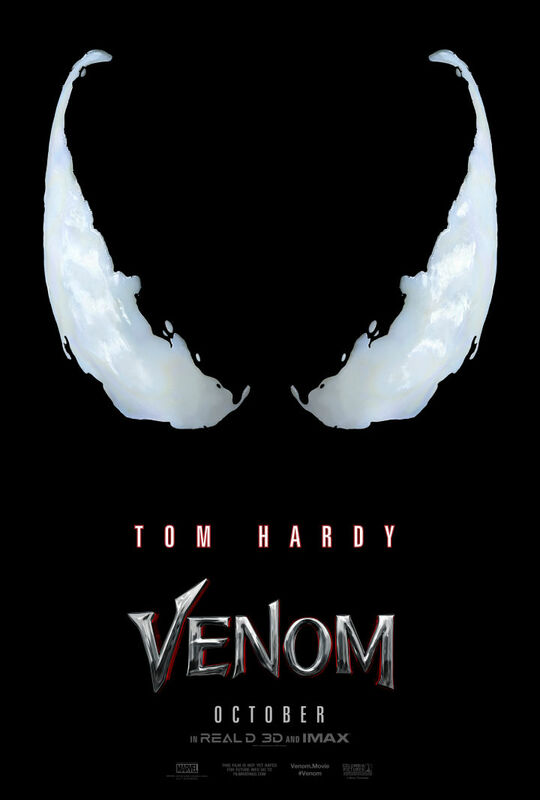 Hardy plays Eddie Brock who in the 'Spider-Man' comics becomes the host of an alien symbiote, a sentient being in liquid form. For comic book fans, the prospect of a solo film for the supervillain turned antihero seemed intriguing but not necessarily in demand. Nonetheless, Sony wants to build on the success of their collaboration with Marvel Studios (and retain the movie rights) on 'Spider-Man: Homecoming' and build this extended world from the same source material with Venom now and the upcoming Silver & Black, directed by Gina Prince-Bythewood featuring Spidey's other arch enemies Silver Sable and the Black Cat. Unfortunately, for the casual moviegoer, this teaser does very little to spark interest as it looks like some suspense film starring a grumpy Hardy. Future trailers will surely improve on this providing more context and revelations but out of the gate, this teaser is a swing and a miss.